Those who are avoiding gluten in their diets know the obvious foods to avoid, such as rye, wheat and barley as well as flour-based breads, bagels, cookies, cereals and the like. Those with Celiac Disease and gluten sensitivities, who must try to avoid even minute amounts of gluten, know that gluten lurks in many products that might surprise the rest of us. Did you know that condiments such as ketchup, mustard and soy sauce often contain gluten? Gluten may also be found in many other foods such as yogurt, candy, soda, canned soups, frozen vegetables and ice cream. Surprisingly, gluten is also found in soaps, personal care products, makeup and medications. For those people who are avoiding gluten for health reasons, allergies, dietary restrictions or weight loss, here is a sampling of some of our more popular gluten-free products from trusted brands such as Thorne Research, Douglas Laboratories, Integrative Therapeutics, Biotics Research, Dr. Wilson’s Original Formulations, Innate Response, PhysioLogics, Designs for Health, and Nordic Naturals. 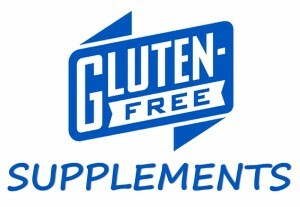 Be sure to look for the designated “Gluten Free” icon on the product page. OsteoPrime® Ultra by Integrative Therapeutics contains multivitamins, minerals including calcium and magnesium, and other nutrients that support healthy bone, bone density and connective structures of the bones. Bio-D-Mulsion Forte by Biotics Research supplies 2,000 IU of vitamin D3 per drop in a concentrated, highly bioavailable, micro-emulsified form for enhanced absorption and utilization. Multi-Probiotic 15 Billion (200900) by Douglas Laboratories supports intestinal flora with a proprietary blend of potent amounts of beneficial prebiotics and probiotics. Super Adrenal Stress Formula by Dr. Wilson’s Original Formulations helps to neutralize stress by providing optimal nutrition for healthy adrenal hormone production and function. Women’s One Daily by Innate Response Formulas is formulated exclusively from nutrient rich whole foods to support and promote the health of women in their reproductive years. Al’s Formula (Basic Nutrients for Men Over 40) by Thorne Research provides comprehensive vitamins and minerals for men over age 40 for cardiovascular, energy, prostate and overall wellness support. GABA 750 mg by PhysioLogics acts as a precursor to L-theanine and glutamine, amino acids that aid in the production of calming neurotransmitters. B-Supreme by Designs for Health provides a potent blend of active coenzymated forms of B vitamins for energy production, neurotransmitter balance and immune function. ProOmega Lemon 1000 mg by Nordic Naturals supplies high potency omega-3 essential fatty acids for overall wellness support. This entry was posted in Home and tagged Al's Formula (Basic Nutrients for Men Over 40) by Thorne Research, B-Supreme by Designs for Health, Bio-D-Mulsion Forte by Biotics Research, GABA 750 mg by PhysioLogics, Gluten Free Supplements, Multi-Probiotic 15 Billion (200900) by Douglas Laboratories -, OsteoPrime® Ultra by Integrative Therapeutics, ProOmega Lemon 1000 mg by Nordic Naturals, Super Adrenal Stress Formula by Dr. Wilson's Original Formulations, Women's One Daily by Innate Response Formulas. Bookmark the permalink.